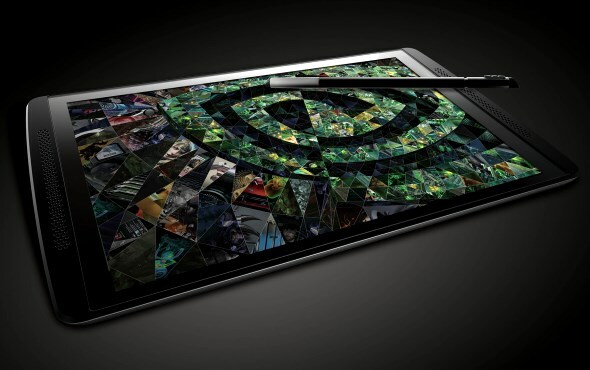 NVIDIA recently have officially unveiled an Android-based tablet reference design that they called the Tegra Note which as you can guess from the name, is equipped with a NVIDIA Tegra 4 chipset. Running at 1.8GHz, the processor features a combination of four ARM Cortex-15 cores and a companion battery-saver core as its CPU as well as a 72-cores GeForce GPU. With a thickness of 9.6mm and weighing at 320 grams, the tablet also features a 7-inch 1280×800 IPS display, 1GB of RAM, 16GB internal storage and support for microSD card with capacity of up to 32GB. Additionally, it also comes with 5-megapixels rear camera and VGA front-facing camera. Not to forget, the tablet also carries a 4100mAh battery that enables it to playback HD videos for up to 10 hours. Apart from its hardware, the NVIDIA Tegra Note also features the company’s DirectStylus technology which is claimed to be able to improve the performances of passive stylus. Being a reference design, the company will not market and release Tegra Note themselves although the OTA updates for the tablet will still delivered by NVIDIA themselves. Hence, those responsibilities fall on the hands of several NVIDIA’s partners throughout the world depending on the market region. In our region (Asia Pacific), those partners are Colorful, Shenzhen Homecare Technology and ZOTAC. ZOTAC will also be responsible for Europe together with Oysters as well as EVGA which will also bring the tablet to North America alongside PNY Technologies. At the same time, the tablet will also be released in India by XOLO. The suggested retail price for NVIDIA Tegra Note will start from RM 644 (USD 199) and is scheduled to hit the market in the next few months.­ Well, let’s see if the sub-RM 700 price will actually stick when the tablet arrived in our market soon enough…only if any of the partners mentioned above are willing to release the Tegra Note in Malaysia.